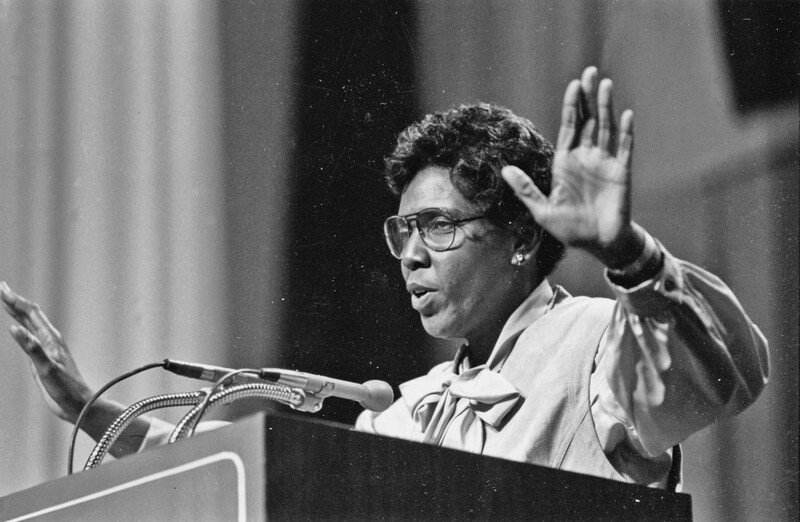 It’s been a few months since the 20th Barbara Jordan National Forum, but I have found myself thinking about her every week since then. The LBJ School is littered with images of and references to Jordan. There are photos of her on the walls, a tree planted in her honor outside, and funds supporting students’ professional development and unpaid internships in her name available in the Office of Student and Alumni Affairs. Her legacy is etched into the infrastructure of the school and the state of Texas, but not everyone at the LBJ School realized how important her contributions were before coming here as a student. In one of the keynote addresses given during the forum, Mary Beth Rogers, author of “Barbara Jordan: American Hero,” talked about Jordan as a student, an attorney, a state senator (the first black woman elected to the Texas Senate ever, and the first black person elected to the Texas Senate since Reconstruction), a Representative in Congress, and finally as a professor at the LBJ School. She was a moral realist, and knew that to be effective, she needed to be in a position of power. In the Texas Legislature, and later in Congress, Jordan was known for being “wily and wise.” A natural dealmaker, she led the passage of an equal rights amendment for women in Texas, as well as the creation of a state minimum wage. In Congress, Jordan was a member of the House Judiciary Committee and the Committee on Government Relations, and became known nationally during the Watergate scandal when she gave a 15-minute opening statement during the impeachment hearing of President Richard Nixon. After three terms in Congress, Jordan was diagnosed with Multiple Sclerosis and declined to run for reelection, choosing to retire and pursue teaching. She eventually became the Centennial Chair of Public Policy at the LBJ School in 1982. She passed away in 1996, and the school began the traditional of the National Forum in her honor the following year, as a celebration of her tremendous legacy. What made you decide to participate in the BJNF as a co-chair? Before moving to Texas to attend the LBJ School, I couldn’t have told you very much about Barbara Jordan. I don’t recall learning about or being exposed to her in school. I was ignorant to her contribution to the very field that I felt called to join: public service. But I came to LBJ to roll up my sleeves and get to work, to invest in myself with the aim of becoming better able to make a difference. And it turns out I had a remarkably impressive role model waiting for me within this community through the legacy of Barbara Jordan. It moved me, it called me to action, and I wanted to share that. I was excited for the opportunity to serve our LBJ Community in the role of BJNF Co-Chair because of the incredible opportunity to collaborate on a team of fellow students, faculty, and staff to organize a large-scale series of events for the school, campus, and city. I was equally excited for the opportunity to learn while leading – my understanding of and appreciation for Barbara Jordan grew even deeper as I gained more and more insight into her life and legacy. I didn’t grow up learning about Barbara Jordan and, although I’m ashamed to admit it, I really didn’t know who she was or her importance until I started school at LBJ. A few weeks into my first semester I heard about the opportunity to serve as a co-chair for the BJNF and thought it would be the perfect way to learn more about Barbara Jordan while honoring her life and legacy. What was the most meaningful part of the week for each of you? The culminating event at Barbara Jordan Early College Prep School was the most meaningful highlight for me. The Forum facilitates dialogue on diversity and social justice, but what are words without action? Celebrating Barbara Jordan Day with their elementary school community allows LBJ students to support the next generation of scholars. And front-line volunteerism is particularly important for policy professionals if we are to carry with us those we wish to serve. On the Co-Chair team, I served a primary role in coordinating student-led programming for the Forum. I began working with student leaders during the fall semester in preparation to organize events for the special week in February. I was grateful for and impressed by the efforts of other students to contribute to the educational enrichment of BJNF for our community. The week was full of meaningful moments, and I was particularly inspired by the realization of and participation in all the student-led programming. The most meaningful part of the week was seeing the ripples from Barbara Jordan’s political impact still spreading present day. The keynote speeches of Mary Beth Rogers and Rep. Senfronia Thompson were visceral testaments of Jordan’s crowning commitment to ethics and hard work. I pursue emboldened public service by being an active citizen – by listening, engaging, and staying informed. I seek professional development opportunities that challenge my assumptions, expand my content knowledge, and provide purposeful networking within diverse communities. Applied learning through state and local government internships and continued involvement in student organizations while at LBJ have also allowed me to improve my capacity to serve. As much as possible, I seek out and co-create opportunities to learn and serve. I feel emboldened when I strengthen my education and work on a team with others who are also dedicated to personal growth and societal progress. I believe the BNJF Co-Chair experience is a great example of this! By speaking out against wrongs, regardless of if they impact me directly, and sacrificing to preserve justice for those whose voices are not heard. What do you think is the most important lesson policy students should take away from Barbara Jordan and her legacy? Ethical and equitable public service is hard work and fighting injustice isn’t easy, but both are imperative for a healthy democracy. It is incumbent on each of us to put in work – tireless, hard work – if we are to effect change and ensure a more just future. Barbara Jordan’s spirit and service embodied her dedication to ethics, as reflected in the quote of this year’s forum: “If the society today allows wrongs to go unchallenged, the impression is created that those wrongs have the approval of the majority.” For me, Barbara Jordan represents how goodness of character is at the heart of greatness in service. When you know something is wrong, you should speak out against it. Since people and systems are rarely changed by words, we have to be willing to personally sacrifice through a commitment to service which challenges injustice with action instead of assuming someone else will take a stand against the wrongs in our society. Is there anything else I haven’t addressed above that you’ve been thinking about or reflecting on? Having just celebrated twenty years of student-led programming, I look forward to seeing how the Forum continues to evolve! I hope more and more students will engage in the Barbara Jordan National Forum as Co-Chairs, event organizers, and participants! I also hope students will continue to create new forums for dialogue on and deliberation of policy and ethics, in order to amplify the emboldened public service of students, faculty, staff, and alumni. Collaborating with my fellow co-chairs, Cassie and Erin, and LBJ staff members, Eileen and Susan, to organize the 20th Annual BJNF was probably the most valuable part of the experience that I have no doubt I will carry into my professional career. The conclusion of the week with service and an assembly at Barbara Jordan Early College Prep was the perfect ending to pay tribute to a hero of our country, state and the LBJ School. As future change makers, it’s essential that we remember and connect to the people our decisions as leaders will affect as well as inspire them do the same.